Many ore deposits extend vertically, a fact which is not always known at the start of mining. If initial mining is by opencast methods and ore reserves are proven to greater depths, the pits are often planned to go deeper than originally envisaged. 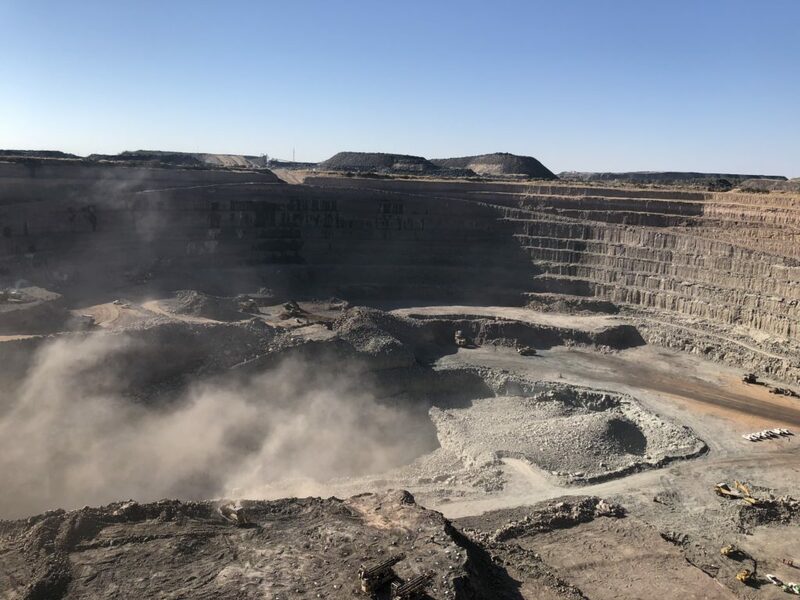 In such cases, surface plants and critical underground facilities -- conveyor tunnels, access ramps, ore passes, hoisting, and ventilation shafts -- are often located much closer to the pit rim and the ore body than desirable. This raises the question of stability, which may be critical for operating the mine longer term. Key considerations to evaluate are: open pit stability, shaft stability, dilution, mud rushes and air blasts, and mining method selection. An economically designed pit will have slopes close to their stability limits, with little scope for extending the open pit to greater depths. Planning and implementing transition from surface to underground mining can take 20 years. Planning must therefore commence at an early stage. Surface and underground infrastructure is often at risk as pits deepen beyond planned depths. Transition from open pit to underground mining often risks mud rushes (if mud forming minerals are present), and from sumps and surface dams. Air blasts can result from underground collapses or mud rushes. The presence of an abandoned pit above can lead to greater risks of dilution and mud rushes.